It’s that time of year again – the festive season is officially in full swing! It’s time for novelty jumpers, Christmas parties and ambitious new years resolutions that rarely make it past February. A brand new year brings with it the opportunity to experience a whole host of new things, together. The only thing better than discovering a new place and learning new things is experiencing it with others. Whether you’re looking to lead your students into a whirlwind of cultural education, a sports group wanting to take a peek into sports culture in another country, or a group of old friends in search of some time away to re-connect in new surroundings – we’ve got something for you. 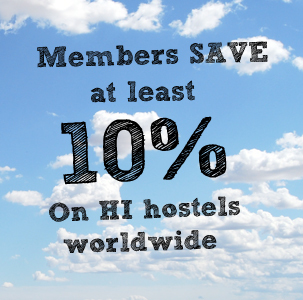 All of the hostels on our shiny new HI Groups site have not only got the locations but all of the facilities you’ll need to make your 2015 group trip perfect. With 2015 just on the horizon, it’s time to start thinking about what it can bring for you and your group. So in the spirit of the new year, we’ve put together a little list of inspiration to help you kick start your groups 2015 plans. The vibrant city of Berlin is over-flowing with rich history and deep culture. With well known attractions such as the Berlin Wall and a wealth of mesmerizing museums, it’s not hard to see why groups of people flock there year on year. 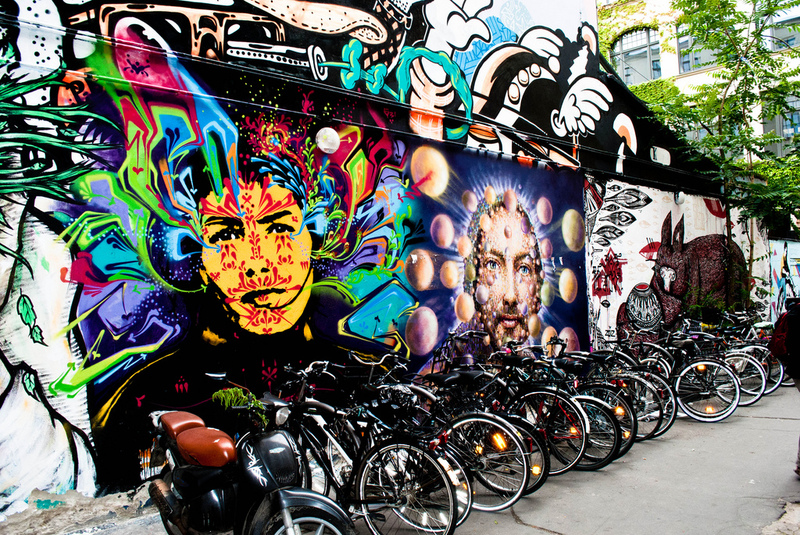 A somewhat hidden gem in the capital of Germany however – is it’s quirky and diverse street-art. On offer in the city is a graffiti workshop and street art tour. This two part tour offers not only a guided walk into the backstreets of the city, taking a look at old and new street art, murals and graffiti – but the chance to give it a try yourselves! If you’re looking to give your art students some artistic inspiration, or a group of friends looking for a slightly alternative trip away – why not send an enquiry to our Berlin International hostel, located right in the centre of the city – it’s the perfect place to kick start your groups alternative Berlin adventure. Although Cologne is known for it’s love locks and never ending list of beautiful cathedrals and museums – it’s thriving nightlife scene is often somewhat taken for granted. If you’re a group of friends looking for some time away together, with a mixture of exciting night life and cultural day time activities – Cologne could be the perfect place for you. The city boasts over 70 night clubs and diverse pubs offering different vibes at every corner, but don’t worry – you’re days together will be just as exciting. After a night of drinks and catch ups – you could take off together on a guided group tour of the city, visiting all of the classic landmarks, catching up and experiencing what the city has to offer together. Send an enquiry to our Cologne hostel to start planning your groups trip. Located in the stu nning Semois valley, Bouillon successfully characterises all of the best bits of Belgian culture. The location of our Bouillon hostel means that your group will have the perfect view of the iconic Bouillon castle – thought to have been in existence since the 8th century. Tours around the eery, historical castle are available to groups – you can even book a night time torch lit tour if you really want to spook your students out! As well as the chance to immerse your students in history, located nearby are several outdoor activity centres offering everything from climbing walls to zip lines! Our hostel has classrooms on offer if you should require a pre-castle history lesson, and caters especially to groups with packed lunches and itinerary help available on request. The Atomium was built for the world fair of Brussels back in 1958, now it stands as an iconic and vibrant monument of Belgium. The structure is of an atom shape, formed of 9 connected spheres and stands proudly over 100m high over Brussels. It offers numerous exhibitions – focusing on architecture, design, science and society. If you’re at a loss for ideas of where to take your school group next year, a culturally educating trip to the Atomium could be the answer – you can even book a tour that includes a visit to Mini Europe afterwards! 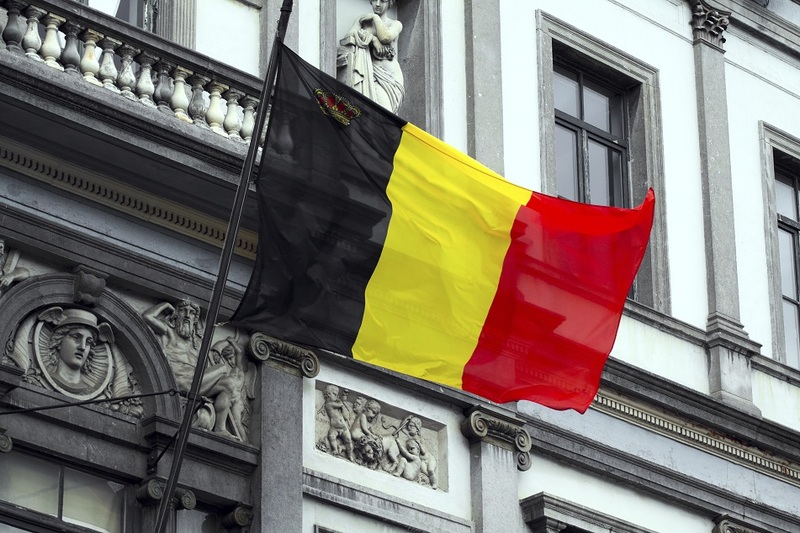 Our Brussels hostels cater for school groups, with packed lunches and rooms for leaders – our staff can even help you to plan the rest of your groups educational Brussels trip. It may not be the first place that comes to mind when you imagine a trip to the states, but Baltimore is an example of true American soul. As the birthplace of the national anthem, the Washington monument, the first cathedral ever built in the states and the home of Edgar Allan Poe’s grave – where better to get a real taste of American culture? Our hostel is located directly opposite the Baltimore Basilica, is just a stones throw away from the Washington monument and it’s beautiful surrounding gardens – and it even offers all guests guided walking tours of the city and a free American style pancake breakfast! The city is also home to the famous 2013 Super Bowl champions, the Baltimore Ravens – you can even take a tour around their home stadium! So whether your planning a dose of American culture and history for your school group, or you are a sports group wanting to explore the home of the Baltimore Ravens – send our Baltimore hostel over an enquiry and start planning your 2015 American group trip. Seattle, known to some as the birthplace of grunge music – will forever uphold it’s name as an iconic landmark in the global music industry. Back in the 1980’s, legendary bands such as Nirvana, Alice in Chains and Pearl Jam evolved from Seattle, Washington – setting the scene for the popularity of grunge music for years to come. Groups can make an enquiry at our Seattle hostel, perfectly located for group visits to the Rock n Roll museum – complete with Jimi Hendrix exhibit, and the famed EMP – Experience Music Project Museum. The museum offers a wide range of exhibits on all things music, sci-fi and contemporary popular culture – there really is no better place to take your music students. Barcelona has for years been a popular city for group trips due to it’s buzzing Ramblas and vibrant culture – but the city is the perfect place for sports mad groups too. Home of the renound Barcelona FC, groups can book tours around the iconic Camp Nou stadium and get a real taste for how the team work – the perfect tour for any group of football enthusiasts. As well as the tour, the city has plenty to offer groups of friends looking for some time away. 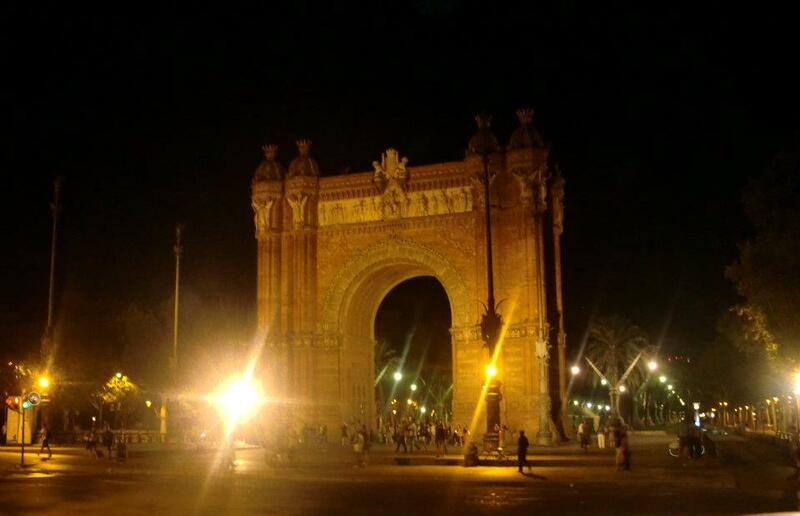 Barcelona is home to some beautiful beaches, a wealth of shopping centres, breathtaking architecture such as the Arc de Triomf and of course – the iconic cable car. Groups can hop on an open roof bus taking them through the heart of the city and all the way up to the top of Montjuic, where they can take the cable car back down to the centre of the city again. The view from the cable car really is beautiful, and the cities skyline truly is something to marvel at. Our Barcelona hostels are located right in the centre of the action, enquire with one of them to find out how we can help make your groups Spanish city break perfect. Whether your a group of friends with a keen interest in fashion looking for some time away, or you want to give your fashion students some first hand inspiration – the fashion capital of the world seems like a no-brainer for your 2015 group trip. There are organised Milan fashion tours that you and your group can embark on taking you through the best shopping spots in the city. There are also several high fashion and textile tours available to groups, visiting places such as the fashion and costume museum and numerous fashion exhibitions. The city of Milan is also a central hub for historical art, architecture and authentic Italian cooking spots. Our Milan Piero Rota hostel can be found in an idyllic location for you to explore the city and all it has to offer. Have any more inspiration for 2015 group trips? Leave your suggestions in the box below. Nous formons des étudiants en commerce des Végétaux, et nous souhaiterions nous rendre à New York en mai prochain 2015. Le groupe comprend 26 étudiants et 2 accompagnateurs. Le thème du voyage : le commerce horticole, les jardins, les gardens centers, la ville de new york. Pouvez vous me donner une idée de Devis ? and thank you for your comment. Please check your inbox for further details with regards to your enquiry.